keywords Archives - Do You Speak Gossip?Do You Speak Gossip? 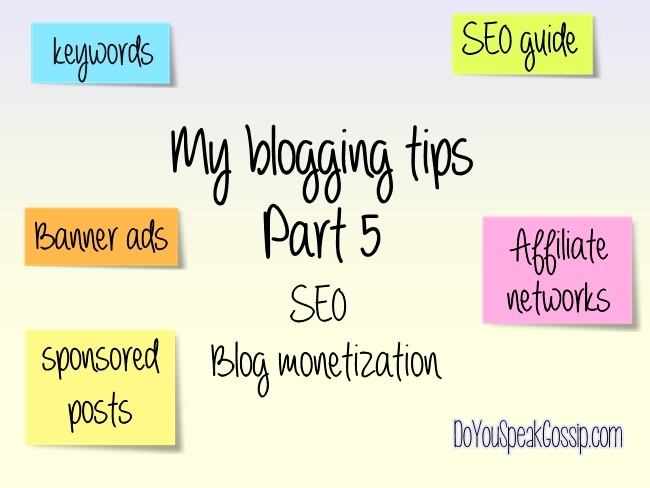 Welcome to the 5th part of our blogging tips! This part was highly anticipated by many of you, since we got many emails with questions, and we’re hoping to answer them all here. But if you have any other question, don’t hesitate to shoot us an email, or just write a comment with your question below. 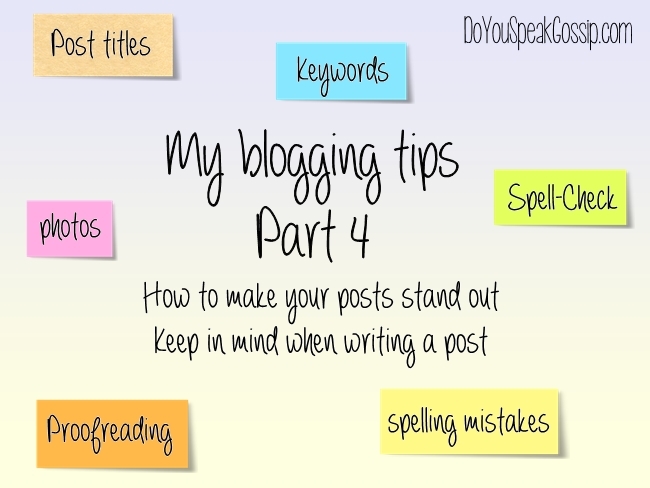 Welcome to the 4th part of our blogging tips. Today, we’ll discuss more specific subjects like how to make your posts stand out and what you should keep in mind when writing a post. Read these tips really carefully, and I’m sure you’ll see results really soon.